Cigar Roller in the C.GARS Ltd Humidor, live on webcam! Valdes Rolling LIVE in our HUMIDOR - NOW! 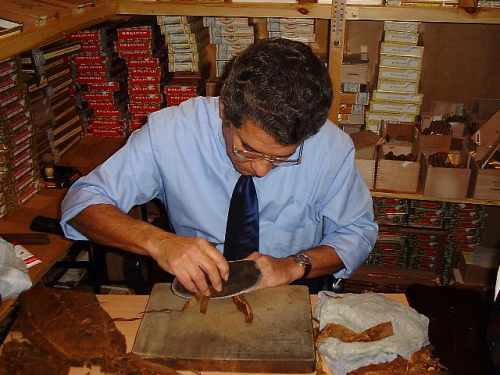 This is your opportunity to ask any questions you have to one of the finest Cuban cigar rollers of all time. 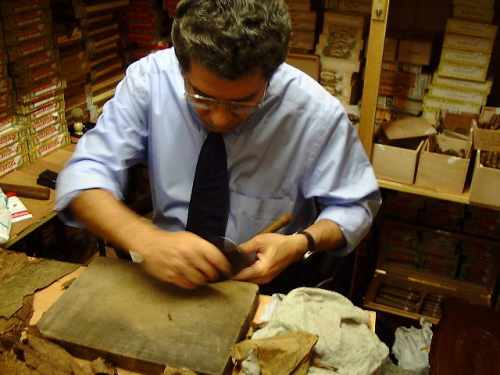 One of Cuba's top Torcedors (cigar rollers), Senor Carlos Valdes Mosquera is currently holding a series of cigar rolling demonstrations in the UK. 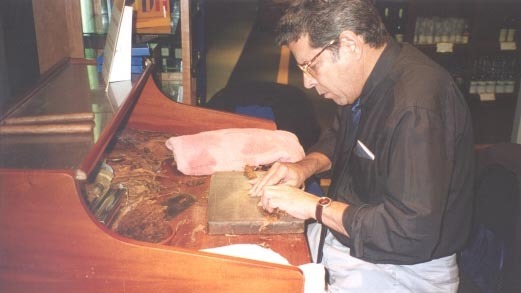 He was born in La Habana in 1937 and learnt his trade when he was only 15 years old at the Jose Gener factory. 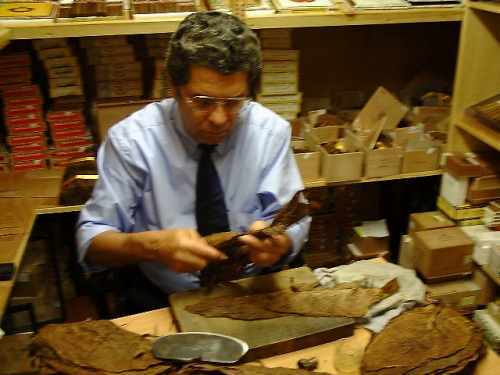 Only one year into his apprenticeship, he was able to roll even the most difficult cigar sizes, such was his enthusiasm and talent. 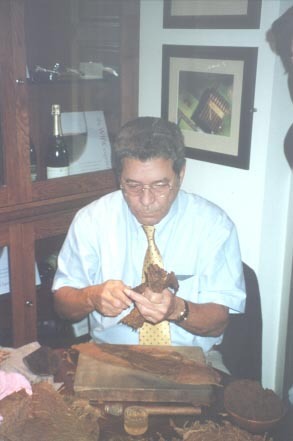 Soon after he moved to the Por LarraÃ±aga factory and finally to La Corona where he stayed for more than 30 years. 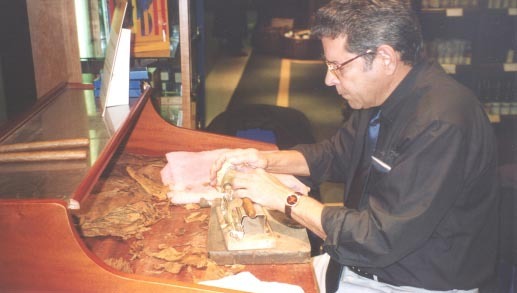 Cigar Rolling has been in Carlos's family for generations. His grandfather and father were both torcedors, as were his mother and wife. His 2 sons have also followed in their father's footsteps and continue to keep up the family tradition. He officially retired from the industry 3 years ago, but could not keep away from practising the art he had perfected and loved. 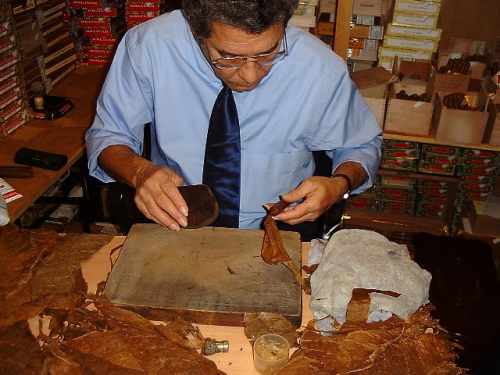 He currently gives cigar-rolling demonstrations in a shop named "El Espiral" at Casa de La Amistad in the heart of Vedado, Havana. Though this is his first time to the UK, he has traveled around the world demonstrating the complex art of rolling cigars totally by hand; France, Austria, Holland, Canada, Germany, Spain, Hong Kong, Macao and China have all had the pleasure of witnessing Carlos at work. Why not Ask Valdes a question???? Just email us over with any questions you may have for Valdes, and we'll ask him whilst he's rolling cigars in our humidor!